Hello Friends,This post is more interesting. Do You Know You can send a free fake sms to any network by hiding your number with unlimited characters without any registration or id but you must have an internet connection enabled to use this trick.......Don't Believe??? You Will Be Shocked after trying this trick....I promise. Step1: - You Can Use This trick in any Mobile or PC. Step3: - While Typing replace enemy number to the number which you want to send and also replace www.hackeasy.in and type your message which you want to send. Example: - http://202.54.124.168/sms.php?from=**********&to=90145XXXXX&text=How Are you baby from-stanger. 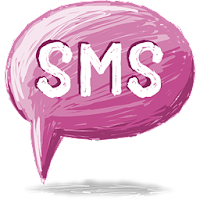 Step4: - After this you will see a text saying sent, This means that your message has been sended. Step5: - That's it Finish!!!!! You can Prank your friends with this trick and teach a lesson to your enemy. That’s for today i will be back with another new trick don’t forget to Say Thanks!!! !